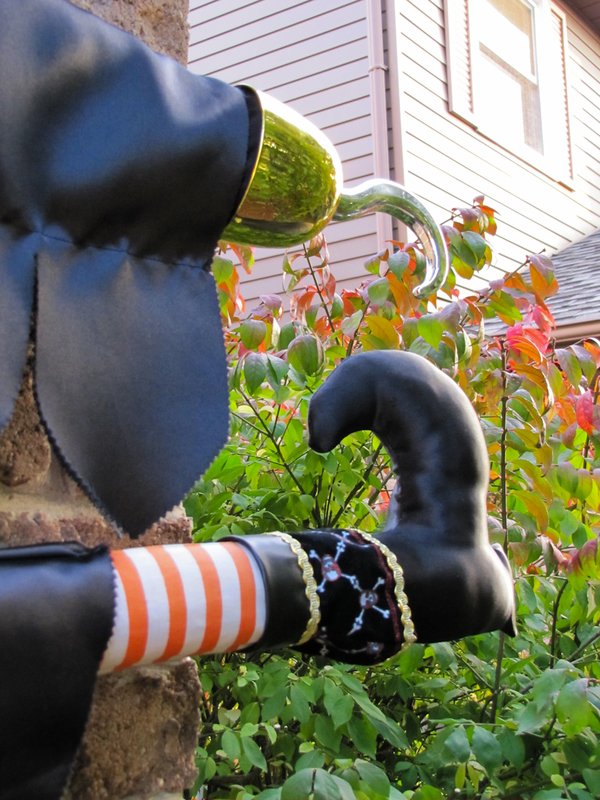 ← Sunday Snapshots – Happy Halloween! 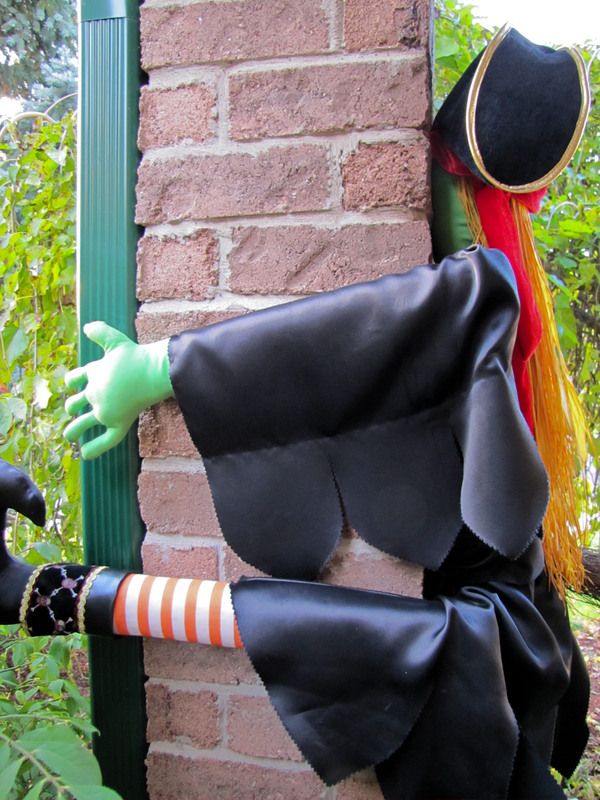 Every year around this time there tends to be an accident on our front porch when some witch, carelessly flying too low and not paying enough attention, does a face plant into the support column. Late one recent evening I thought I heard someone singing “Yo ho, yo ho, a pirate’s life for me” outside. 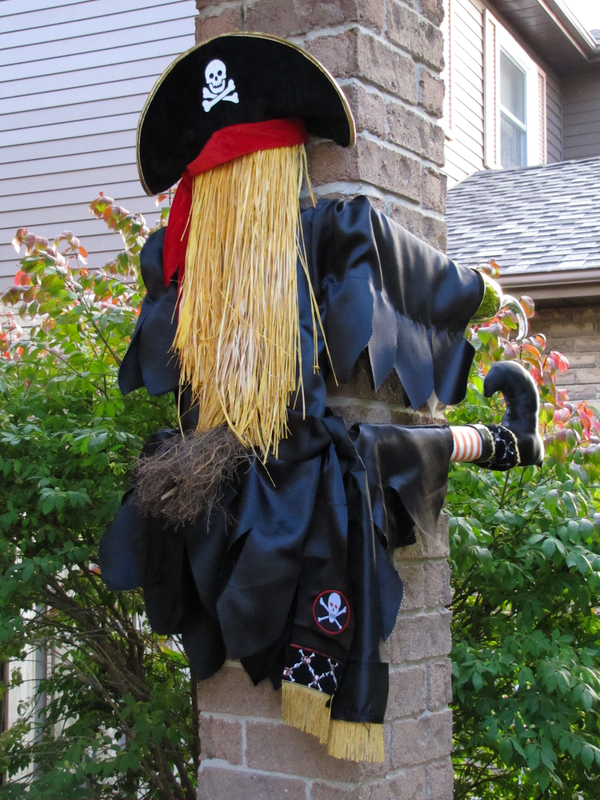 I couldn’t see anyone out the window, though, so I didn’t think anything of it until the next morning when I discovered that a witch had strayed too far from her usual waterside haunts. Oh dear. Interesting pirate theme .. I love the hook hand!